The year is 1962. 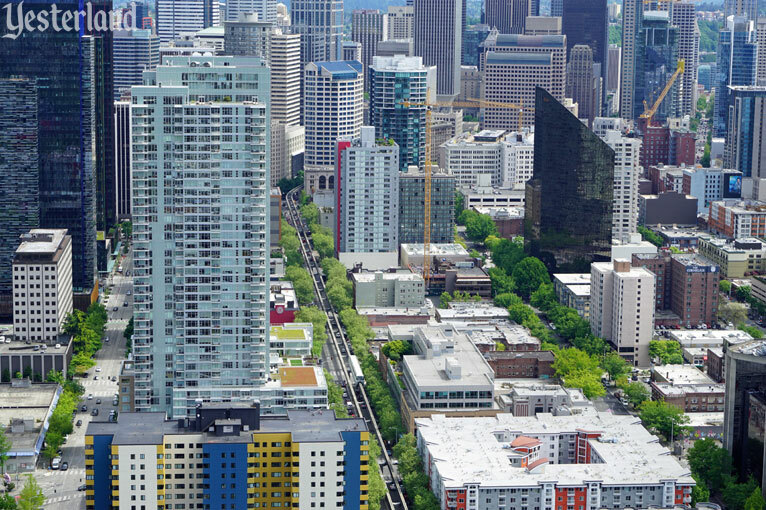 You’re in downtown Seattle. You want to visit the World’s Fair, a mile away. You could walk, but there’s a faster way. 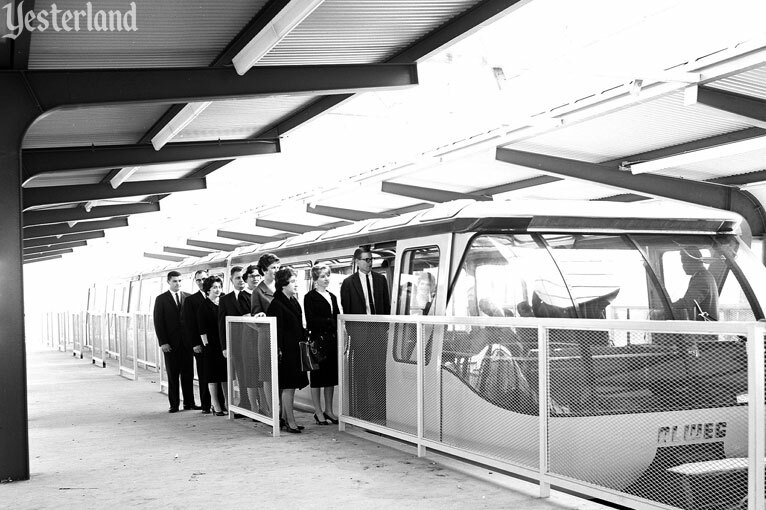 Hop on the futuristic Monorail, built by Alweg Rapid Transit System specifically for the World’s Fair. The ride is one dollar, one way. 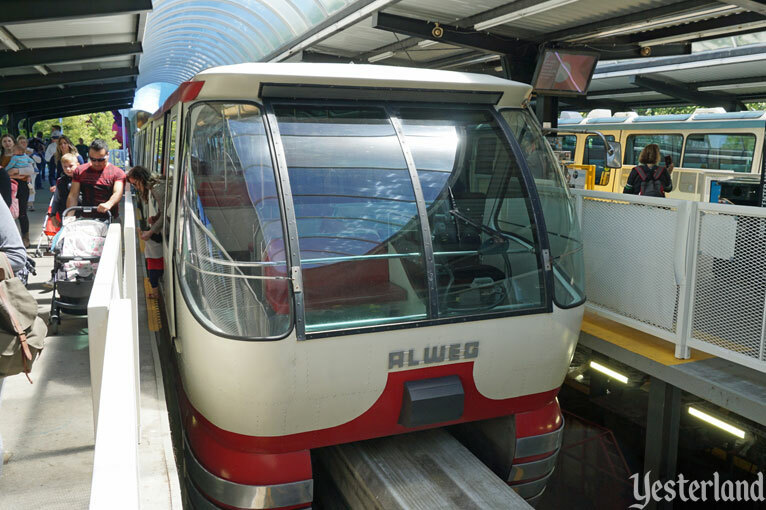 If the name Alweg seems familiar, perhaps it’s because you’ve ridden the Disneyland-Alweg Monorail at the Happiest Place on Earth, a thousand miles to the south. 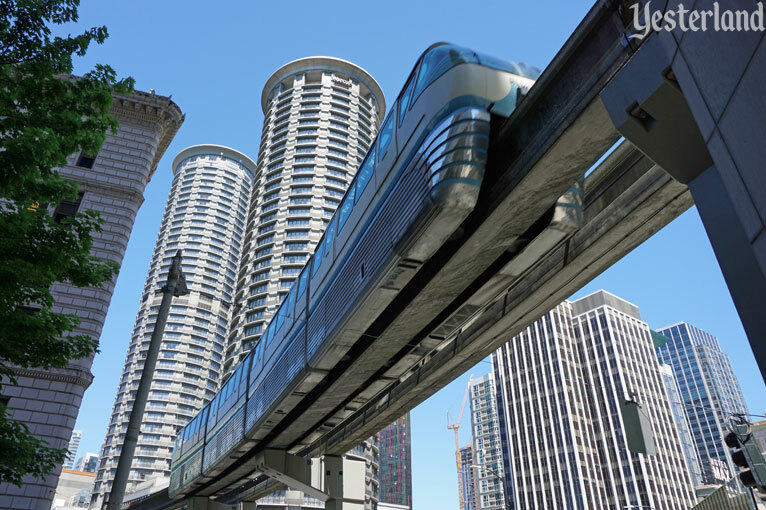 The German company Alweg, founded by Swedish entrepreneur Axel Lennart Wenner-Gren, is the leader in Monorail technology. To tell the truth, the system at Disneyland isn’t a real Alweg system. Although it includes the Alweg name and uses technology from Alweg, the system was designed and built by Walt Disney’s WED Enterprises. 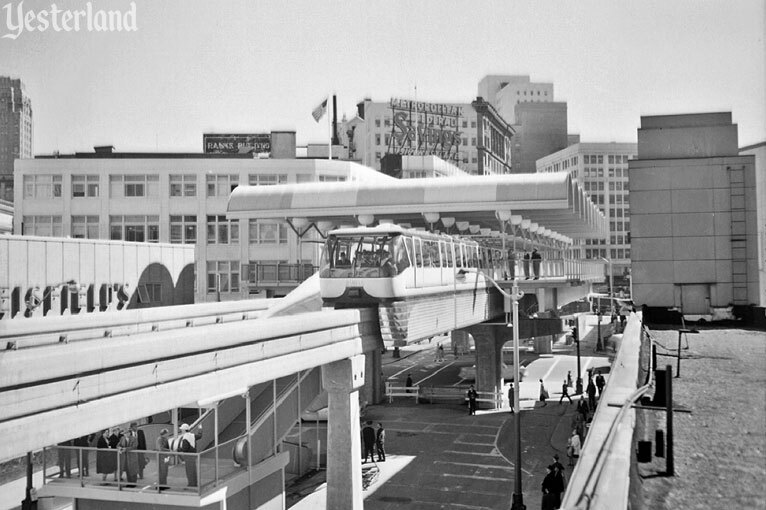 Brilliant young WED designer Bob Gurr gave Disneyland’s version a sleek Space Age look. 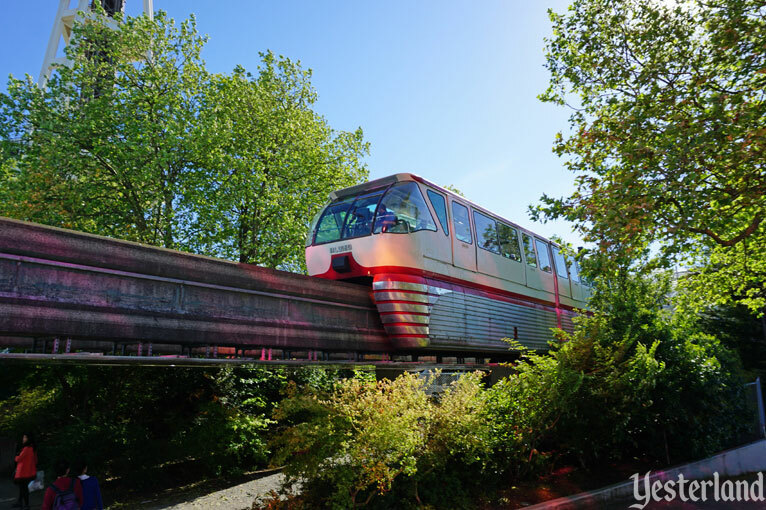 Although Seattle’s Alweg Monorail is almost three years newer than Disneyland’s, the trains in Seattle aren’t as sleek. But they look pretty good in their own way. 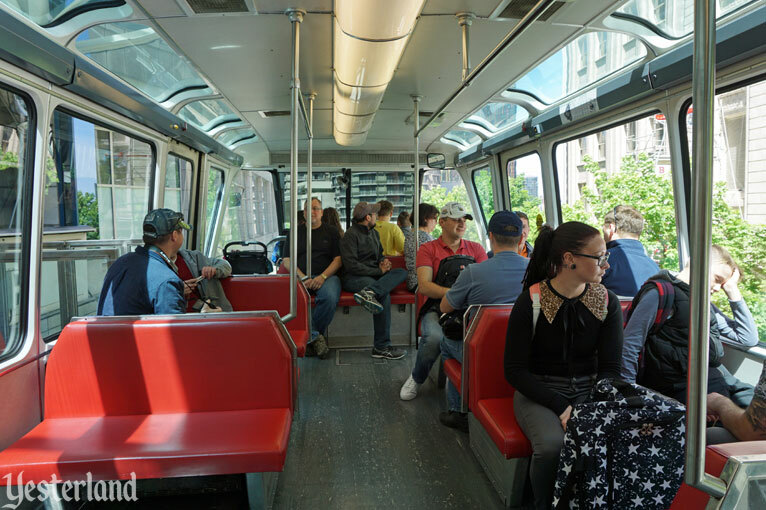 With large windows and spacious interiors, they provide a terrific passenger experience on the brief ride. There are two four-car trains, two parallel tracks, and two stations. Each train has identical ends, and shuttles back and forth on its own track. The driver moves to whichever end is the front, depending on the direction of travel. The trains are capable of going 75 miles per hour. 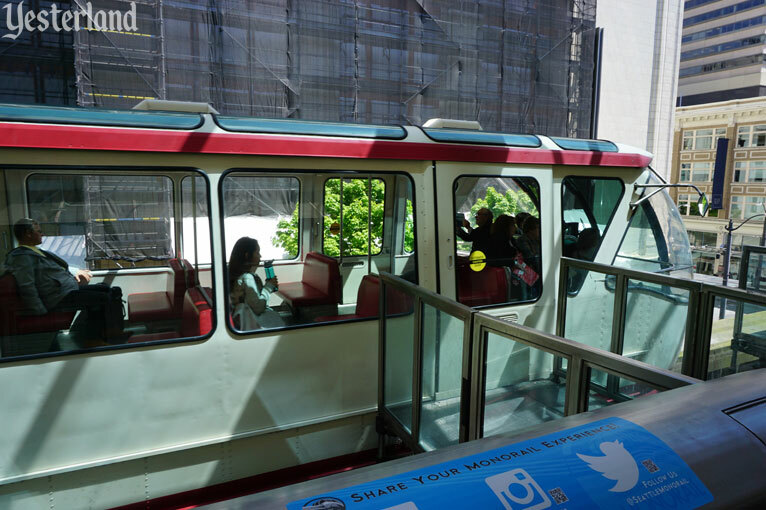 When both trains are operating, the system can handle 8,000 passengers per hour. You’ve arrived at the World’s Fair, where you’ll enjoy a preview of the 21st century. 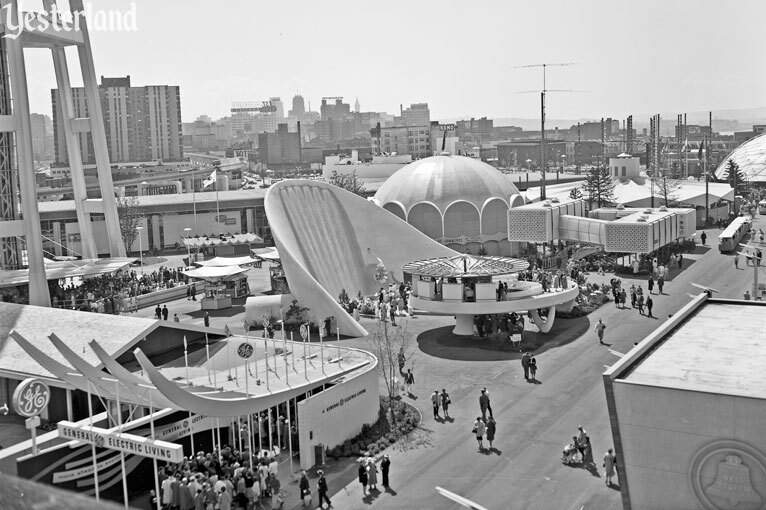 As World’s Fairs go, the Century 21 Exposition is not a big one. But it is an official Universal Exposition, sanctioned by the Bureau International des Expositions—unlike the 1964-65 New York World’s Fair planned for Flushing Meadows. 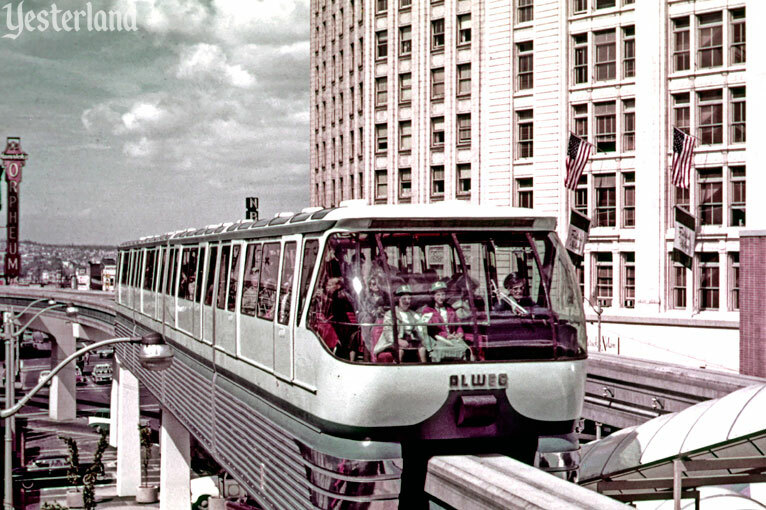 The Monorail started running March 24, 1962. The World’s Fair has been going since April 21, 1962. 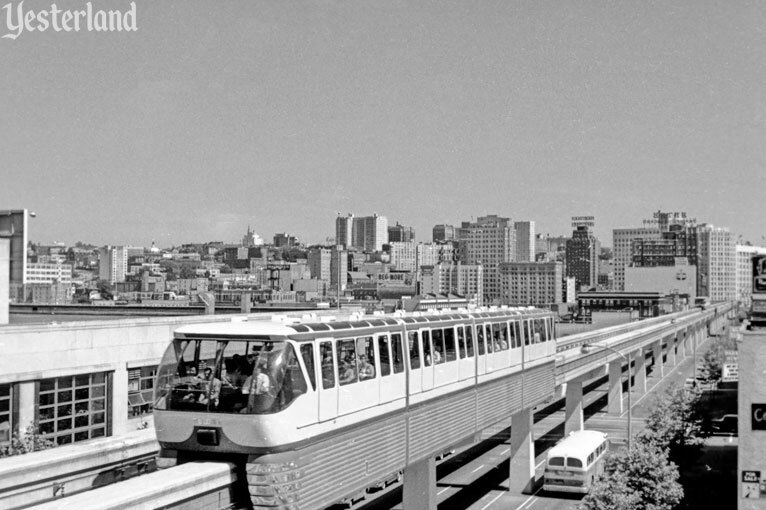 When the Fair closes October 21, 1962, the Monorail is supposed to be removed. 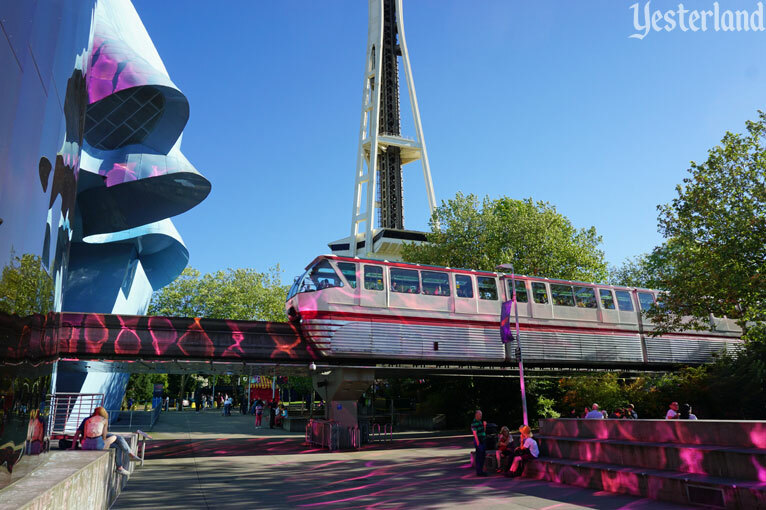 The two attractions that have come to symbolize Seattle’s World’s Fair—the Monorail and the Space Needle—are private enterprises built on public property. 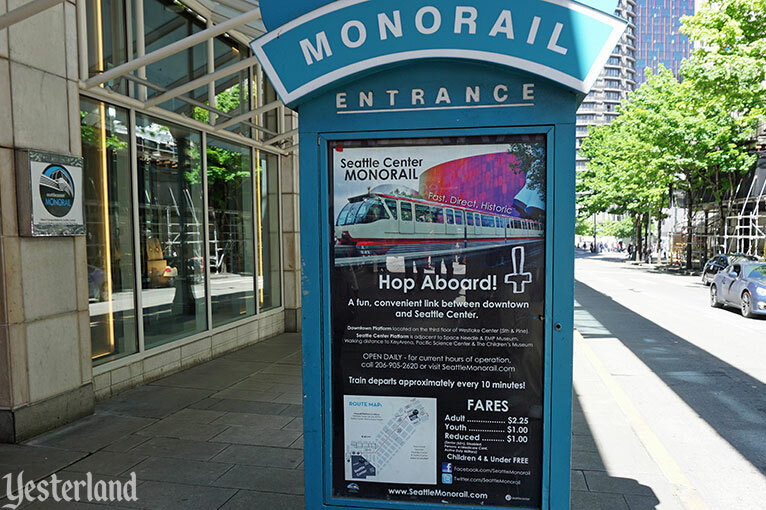 The Monorail, which a Seattle taxi-driver has described as “an El with publicity,” is a 1.2-mile track suspended from concrete pylons, running from the heart of the business district to the fair grounds. 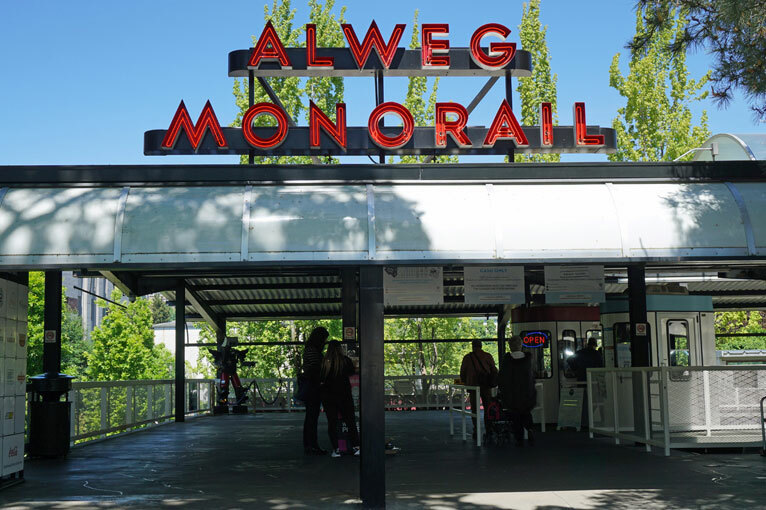 The city council gave the Alweg Rapid Transit System a franchise to use the city streets without charge provided the Monorail is removed after the fair. 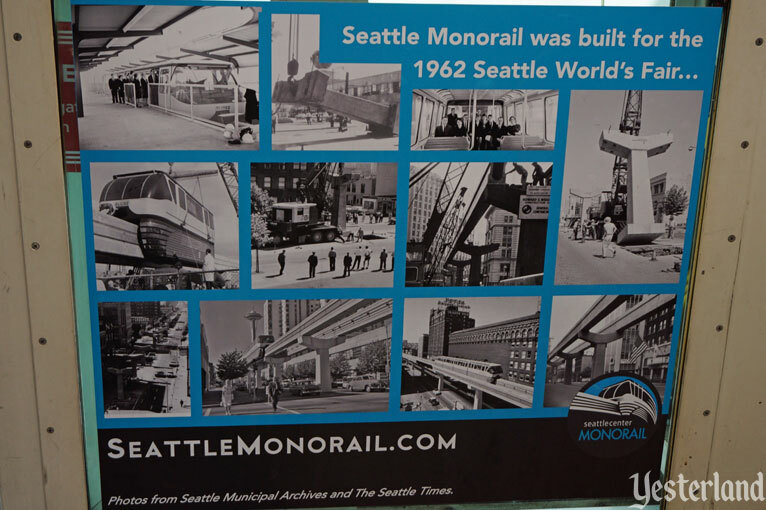 But the Monorail system was never removed. It’s still running with its two original trains. 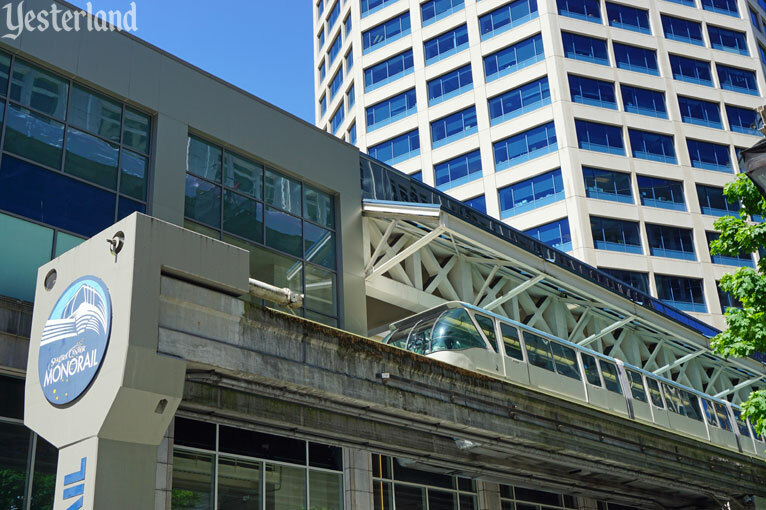 After the Fair, the city of Seattle bought the $4,200,000 system from Alweg Rapid Transit System for $600,000. 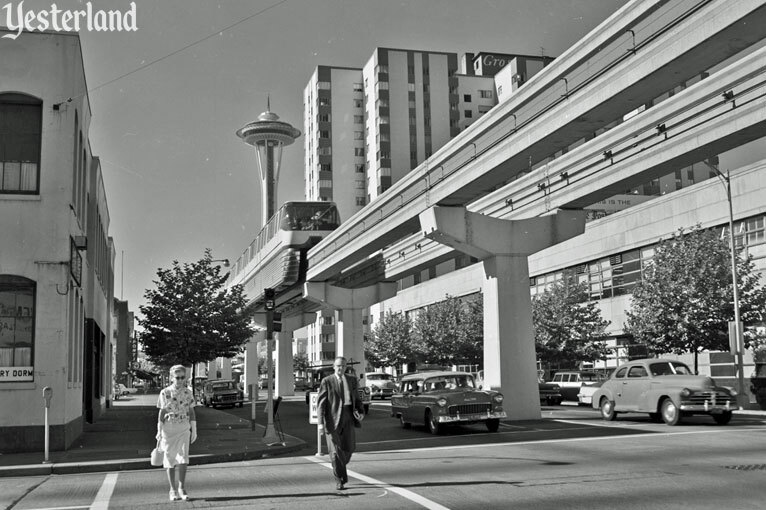 The 1962 World’s Fair site became Seattle Center. 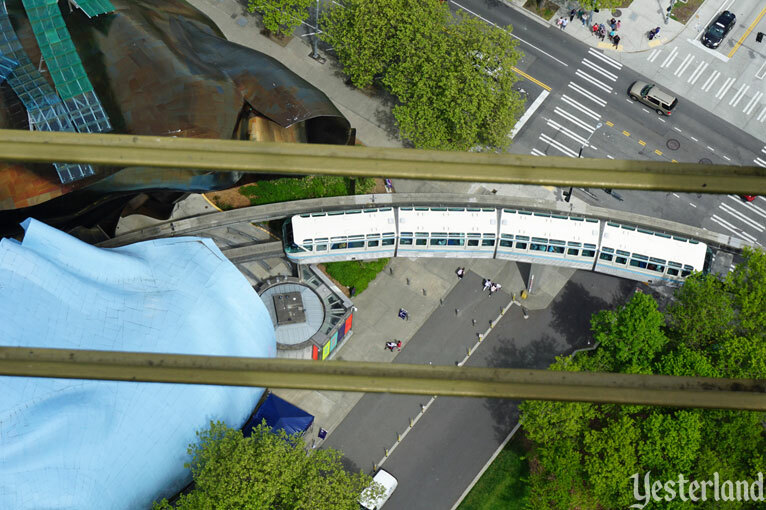 It includes holdovers from the Fair, such as the Space Needle, KeyArena (originally the Washington State Coliseum), and Pacific Science Center (originally the United States Science Pavilion). 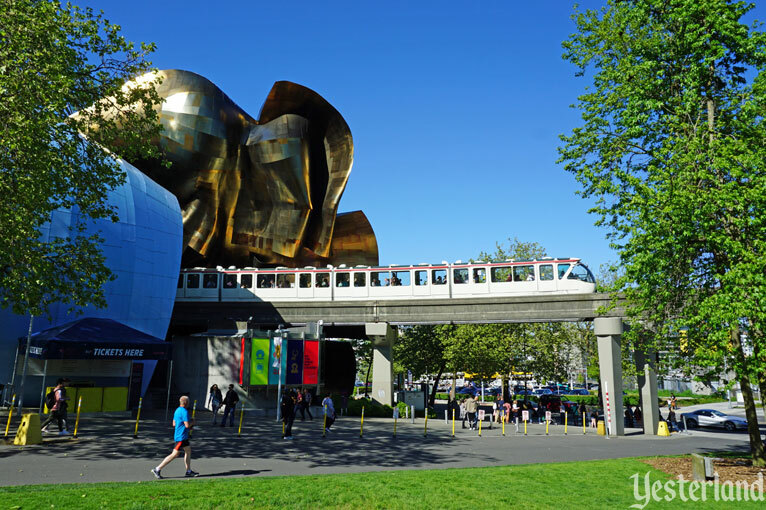 It’s also home to new additions, including the Museum of Pop Culture (MoPOP) and Chihuly Garden and Glass. And it has all sorts of performance spaces, gardens, event spaces, and places to eat. 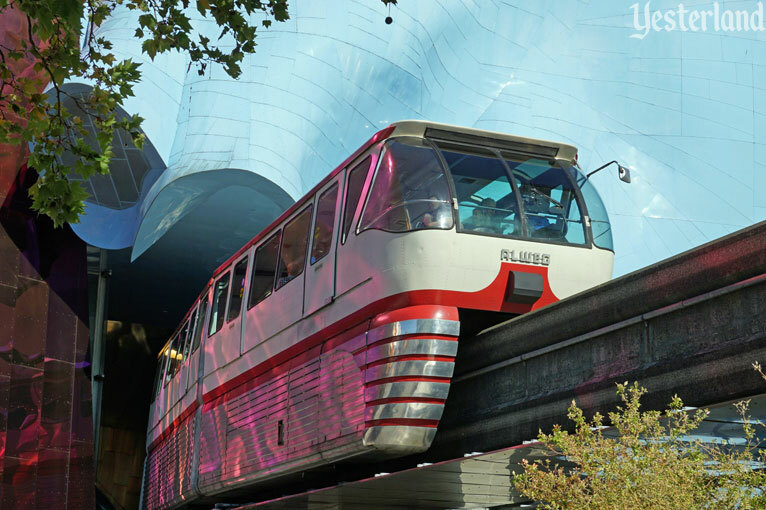 The Alweg Monorail became the Seattle Center Monorail. The system is lovingly maintained. Over the years, there have been setbacks, including a fire and a collision, but the system was always repaired and reopened. Unfortunately, the downtown station was replaced when the previous station site became part of a shopping center. 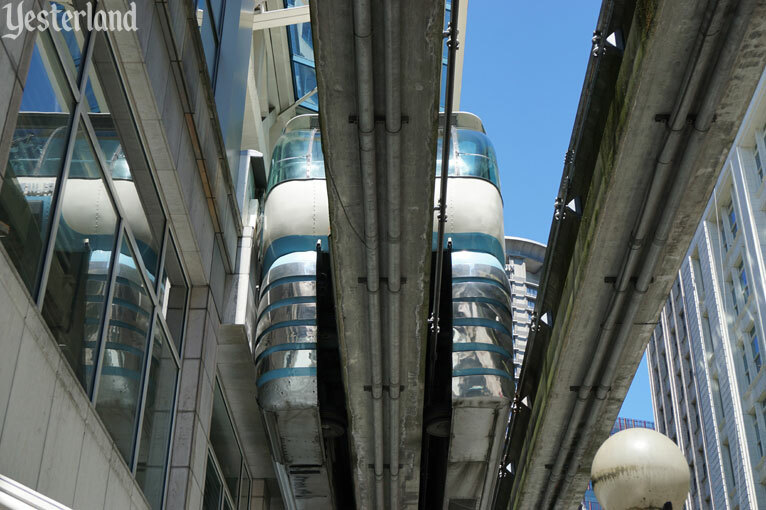 The Monorail is now considered historic, not futuristic. Adjusted for inflation, the $2.25 fare in 2017 is a much better value than the $1.00 fare in 1962 ($8.10 in 2017 dollars).